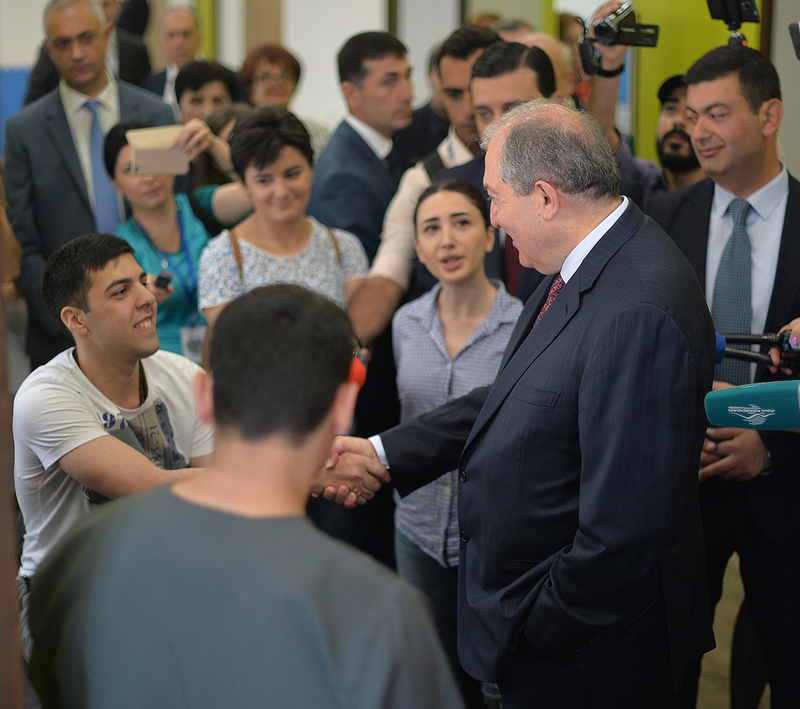 President Armen Sarkissian visited today the Homeland Defenders Rehabilitation Center to personally congratulate servicemen, who undergo treatment here, on the occasion of the 100th anniversary of the First Republic. 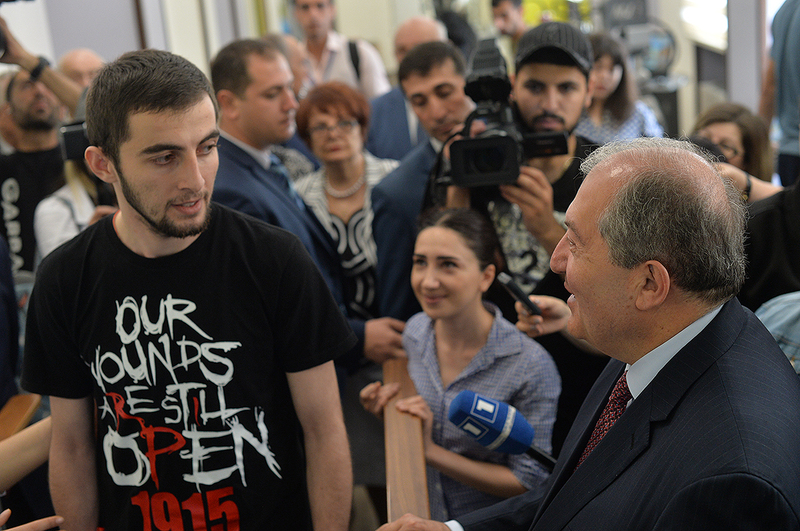 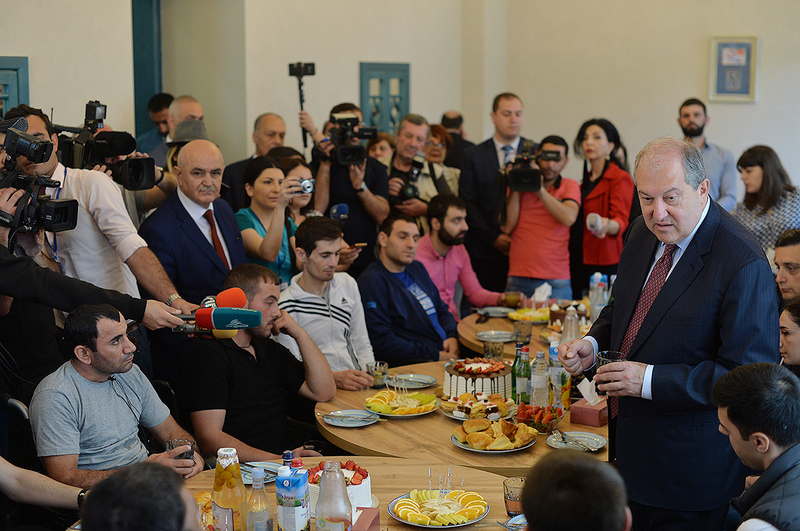 The President of Armenia toured the Rehabilitation Center, familiarized with the activities carried out in the Center, conversed with the Homeland defenders who undergo treatment here. 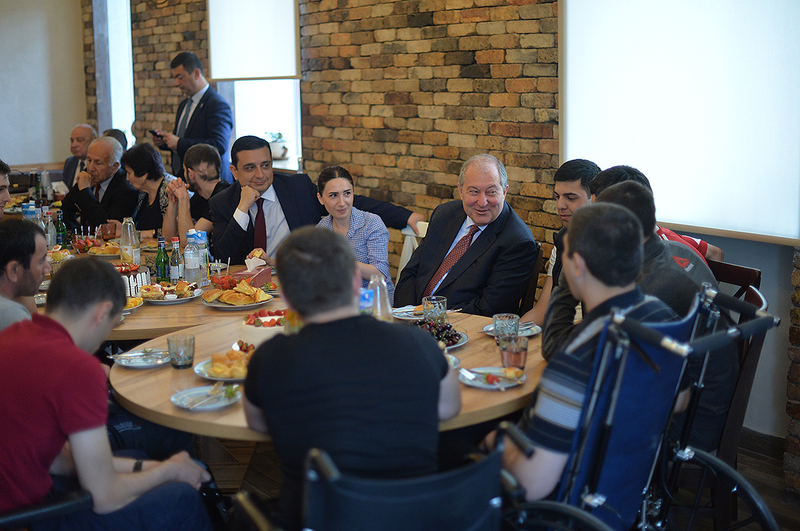 The Center operates as a full-cycle rehabilitation compound where along with the health issues of the handicapped servicemen the problems of their social integration, education, and employment are also being solved. 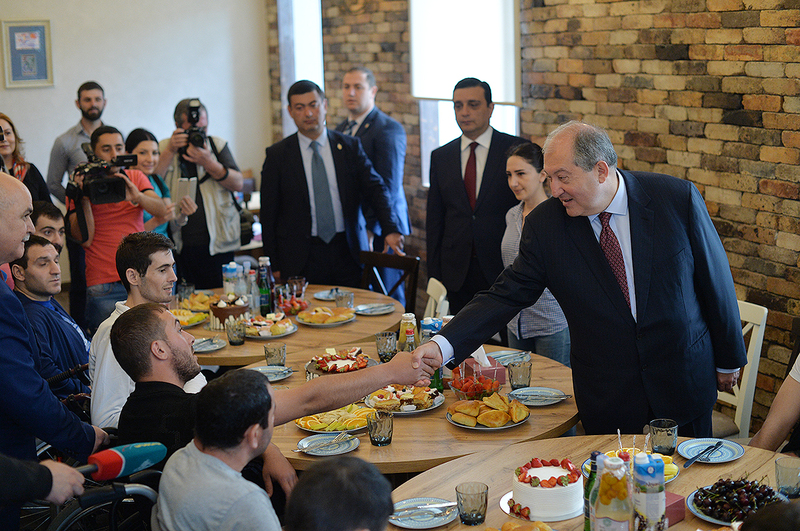 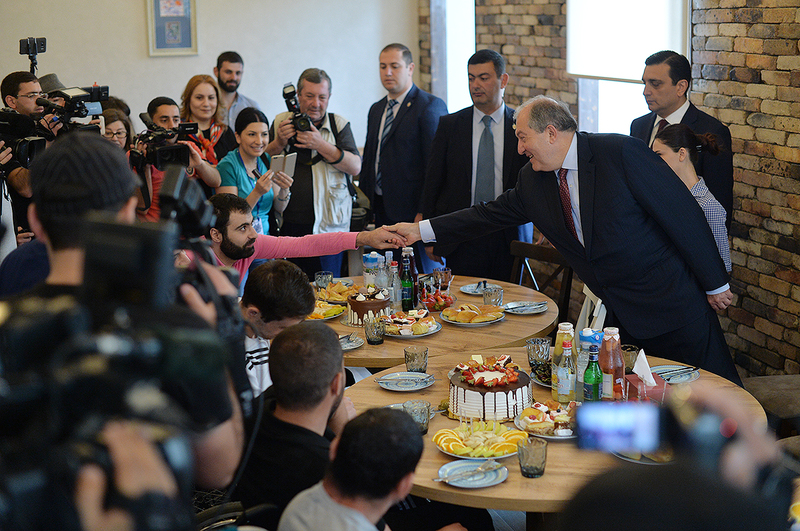 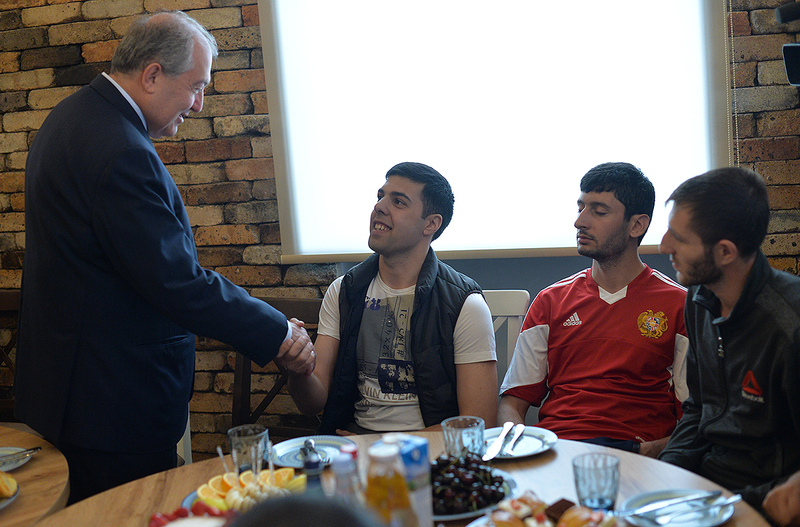 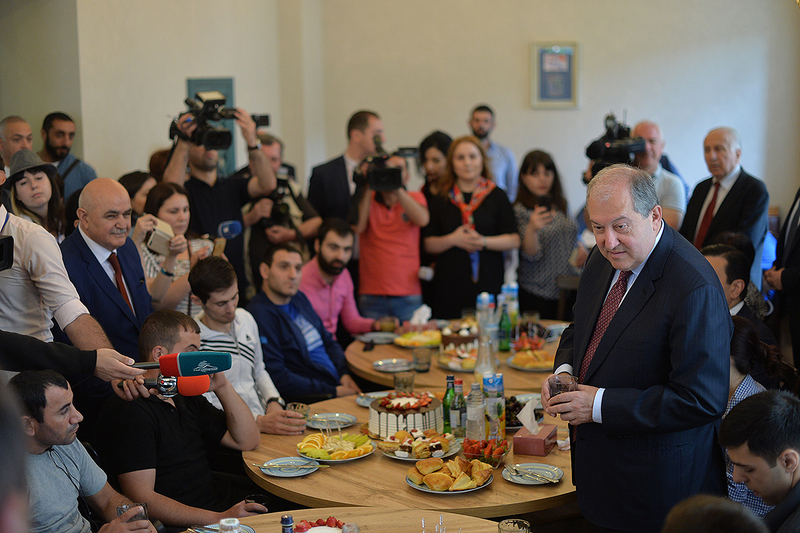 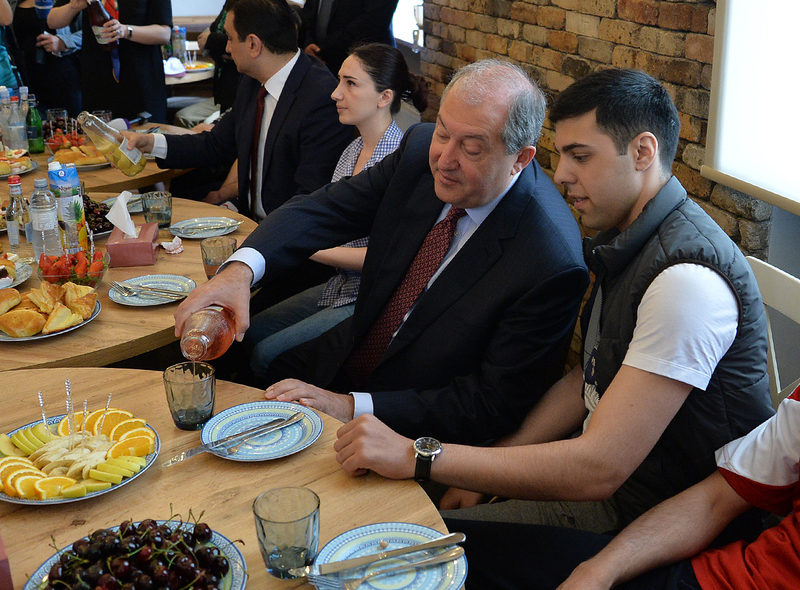 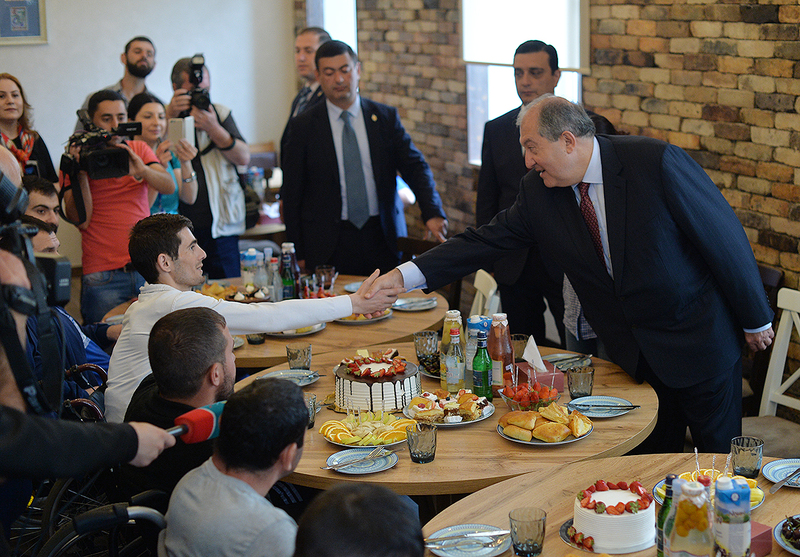 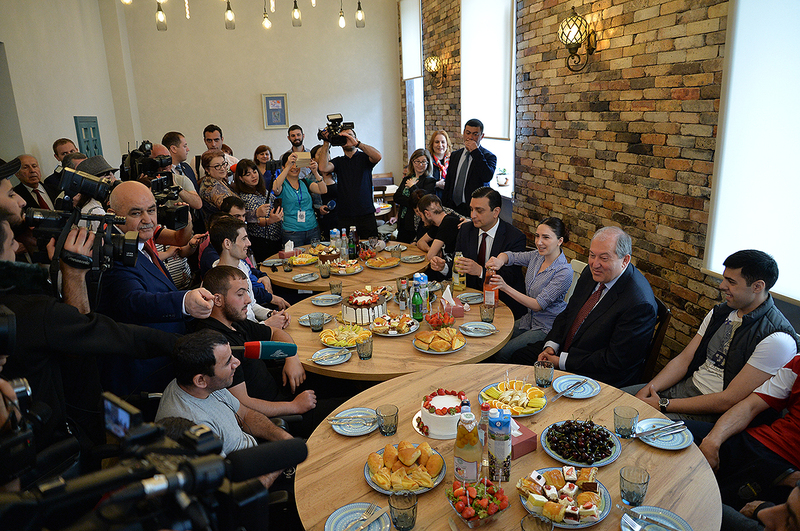 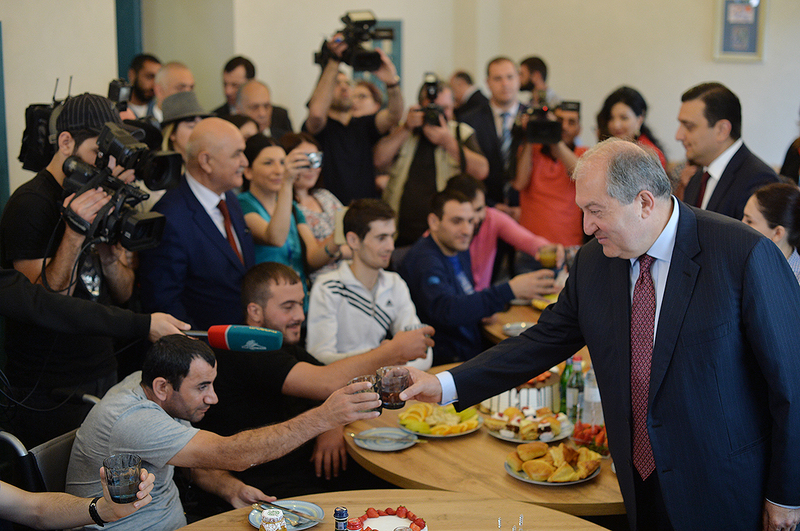 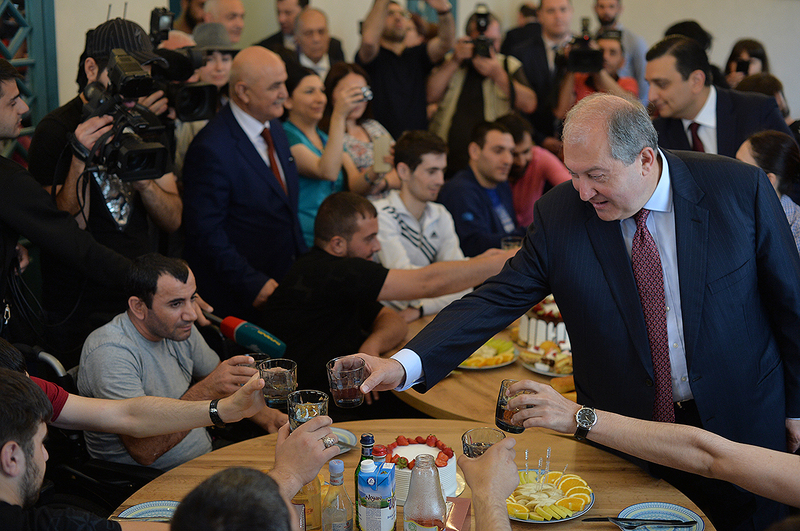 President Sarkissian had lunch with the servicemen. 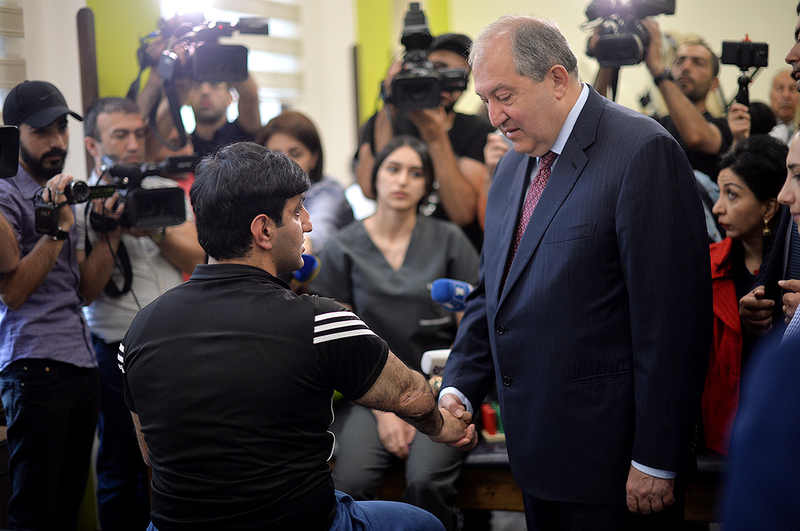 He expressed gratitude to the Homeland defenders for their dedication and ardent service and wished them a speedy recovery. 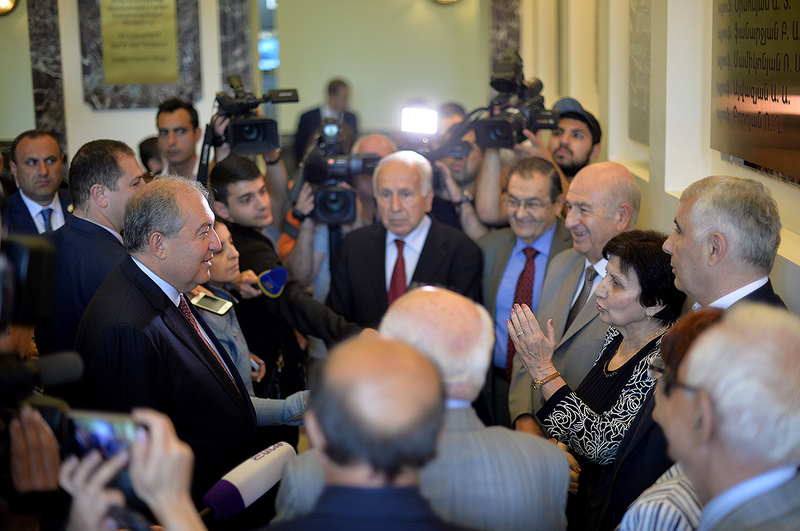 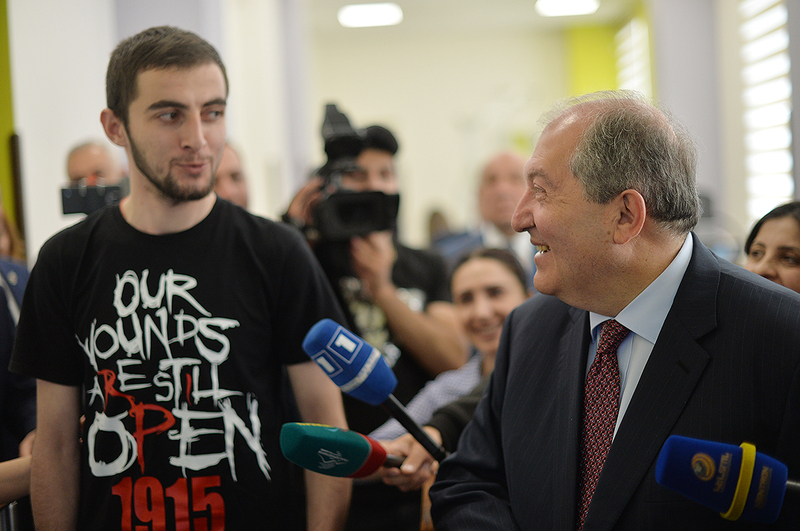 Armen Sarkissian stressed the necessity of bringing the servicemen back to a dignified life after treatment. 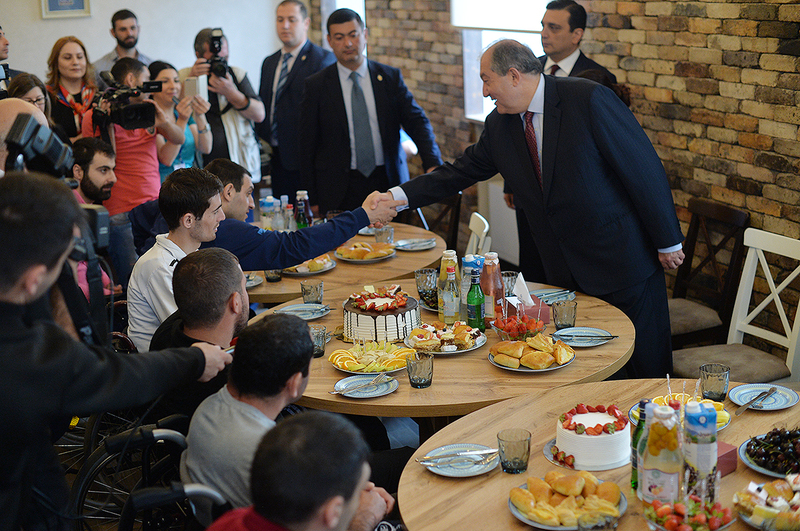 According to the President, after restoring health they should be offered employment through special arrangements so that servicemen are not dependent on different types of assistance but are able to earn their living.